We’re in the midst of the holiday swing at Walt Disney World. Halloween decorations, many of which that have been up since August, are coming down and Christmas is starting to fill the air, and the lampposts, and gardens, and food kiosks… But it is in this period of mid-autumn that I start to think that Walt Disney World overlooks one of our great holidays, Thanksgiving. Of course, there are special meals at restaurants all around the property, and there aren’t a ton of Thanksgiving decorations that go up in yards throughout the country, but I can’t help but to think that the holiday should be given a bit more of a presence in the parks and resorts leading up to the day. I’m not foolish enough to believe that this means Christmas and winter holiday displays aren’t going to go up in November or that Mickey’s Very Merry Christmas isn’t going to have events starting in November. As it is, Christmas decorations were filling stores in October, Christmas music is already being looped through people’s houses, and it is a tradition held by many families that their Christmas tree go up, or be up, for the Thanksgiving meal. I understand all of that; I also understand that Thanksgiving may not be as fun as Halloween or Christmas, but that doesn’t mean it doesn’t deserve a special place. After all, we don’t even close schools or businesses for Halloween, but Thanksgiving is given that honor in general society. What am I advocating for? Perhaps it is as simple as a couple of weeks dedicated to the season of giving and giving thanks. Maybe a display in Disney’s Animal Kingdom, or Epcot’s Land and Seas pavilions, talking about the impact of the Disney Conservation Fund, giving thanks to guests who have contributed, and making a dedicated ask to guests around a specific goal. It could also be a meet and greet on Main Street, U.S.A. for Turkey Lurkey and an activity in Liberty Square where guests can talk about what they are thankful for during the past year. It could even be a month long celebration at 50’s Prime Time Cafe where the menu features Thanksgiving staples of the era, things that we wouldn’t necessarily prepare today, for the entire month and not just a traditional meal on Thanksgiving Day. Heck, they could even put on a short stage production somewhere in the parks talking about the first Thanksgiving, more than the few moments it is given in The American Adventure. I’m fairly confident that I don’t have the answers, or that Disney will ever see Thanksgiving as more than an extremely busy long weekend, but I feel like there is a disservice being done to the holiday. Believe me, Halloween and Christmas are both cherished institutions in my own house, and we literally count down the days until we can start celebrating both, but we also make time to be thankful for what we have and to give back. Not just during November and around Thanksgiving, but all year long. It may not be the flashiest of holidays, or have a lot of popular culture credence these days, but Thanksgiving definitely deserves better than it currently receives from Walt Disney World and the rest of us. It has been given a distinction on our calendars, and in our workplace holiday packages, for a reason. Certainly if you were to ask a child what they are thankful for when they are inside a park, your answers will likely range from family to Splash Mountain, with parents’ answers gravitating towards being thankful for their children or significant others. 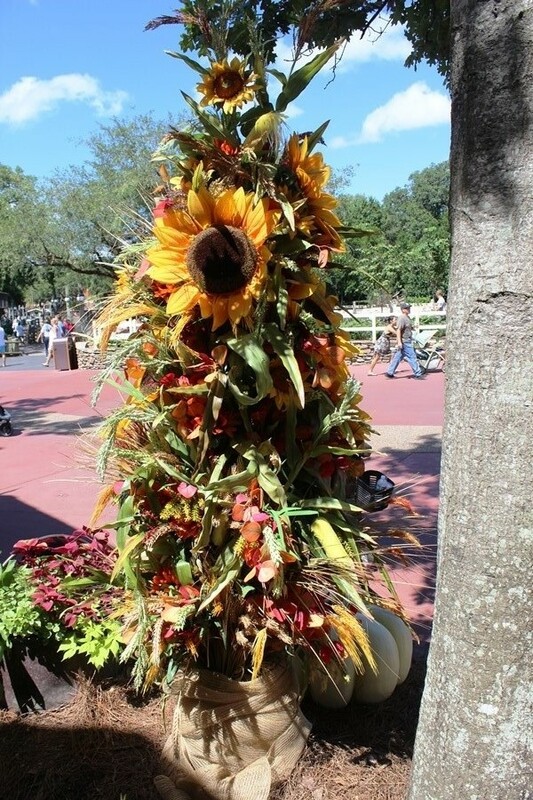 I don’t think that it matters how it is presented in the parks and resorts, but as long as people are given a moment to think about what they are thankful for, and what the holiday really means, I think it is a dramatic improvement over just focusing on Thanksgiving for the food on a single day. As we move beyond the spooky and the frightening fun, looking toward the horizon of Christmas, Kwanzaa, Chanukah, winter solstice, and other winter celebrations, let’s not look at Thanksgiving as merely a speedbump. It has more to do with our national history than many of the holidays we celebrate each year, and it has an important message that is easy to overlook. So, until Walt Disney World finds a better way to celebrate Thanksgiving, while you’re pulling out your Christmas decorations, or attending Mickey’s Very Merry Christmas Party, this year it is up to you to find a moment to be thankful for or to find a way to give back to something you are passionate about or something in your community.